Davies comes by this feeling naturally. Coming from a very competitive family, she played every sport, especially the games her older brother played. She recalls watching her dad and older brother playing golf at the Corby Golf Club when she was around age 11 and decided that she wanted to play as well. Her brother, Tony, introduced her to the game when she was 14. Like most siblings, all she wanted to do was beat her brother at whatever he was doing and, as she says, she “dusted” him by the time she was 16. 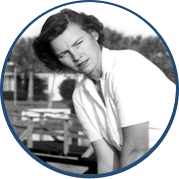 In the two short years after taking up the game, she was down to an 8-handicap and had started playing competitively. Davies played well enough to earn a place on Surrey County’s first team. Golf and the thrill of competition had motivated her so much that she left school and gave up everything to become a professional golfer. She worked weekends taking various jobs that would allow her to work on her golf game. Davies turned professional at age 21. During her first year on the professional tour, Davies won both the Rookie of the Year and the Order of Merit titles on the Ladies European Tour. The following year she claimed four victories, including the Women’s British Open. She was fast becoming a dominant force on the Ladies European Tour. In 1987, she brought her game to the United States and won the U.S. Women’s Open Championship in a playoff with fellow Hall of Fame members Ayako Okamoto and JoAnne Carner. 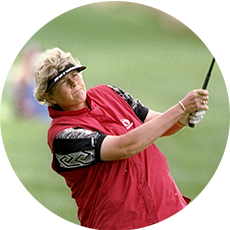 Laura Davies had firmly etched her name into golf history. 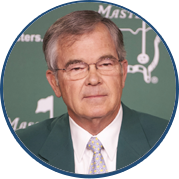 Not only did Davies’ win signal the depth of talent from international players, but it also led to a significant change in LPGA membership criteria.  Davies was not a member of the LPGA at the time of her win, but following her victory, the LPGA changed its criteria to allow any non-member professional who wins the U.S. Women’s Open immediate access to the tour. Her power off the tee drew the galleries of spectators to her. As one journalist said, “Laura Davies can be absolutely frightening on the golf course when she hits the ball as long and as accurately as she does.” In the first decade of her professional career, Davies had won over 40 victories worldwide, including the U.S. Women’s Open and the first of her two LPGA Championships. Davies, however, considers the year 1996 as the high point of her golfing career. 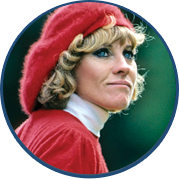 In that year she won 10 times on five different tours, including two Major Championships – the LPGA Championship and the du Maurier Classic. Laura Davies has won the Ladies European Tour Order of Merit a total of seven times. 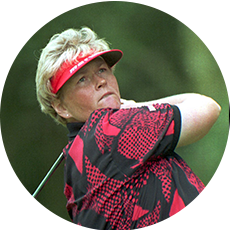 To many in the golfing world, Laura Davies is considered the most successful female British player of all time. She has the record to substantiate that claim. 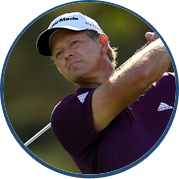 In addition to her more than 70 worldwide individual victories, Davies has also represented Europe a record 12 times in the Solheim Cup since its inception in 1990. To date, she has amassed 25 total points with a record of 22-18-6, the most points won by a member of either team. Her achievements and accolades are numerous and varied. She has been name Ladies European Player of the Year twice, the LPGA Tour Player of the Year, the GWAA Female Player of the Year, the Best Female Golfer ESPY Award, and has won the Ladies European Tour Order of Merit seven times along with a LPGA Tour Money Winner title. 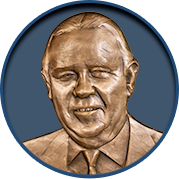 Davies was named a Member of the Order of the British Empire (MBE) in 1988 by Queen Elizabeth II, followed by Commander of the Order of the British Empire (CBE) in 2000. 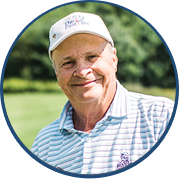 Most recently, Davies received the highest civilian honor bestowed by the Queen as Dame Commander of the Order of the British Empire (DBE) in 2014 for her services to the game of golf. In February 2015, Laura Davies, along with fellow Hall of Fame members Annika Sorenstam and Louise Suggs, became one of the first female honorary members of the 261-year-old Royal & Ancient Golf Club of St Andrews.